This is not a cheat, but simply addition of knowledge. The package only exists on Airtel, Airtel called it weekend plan but this to me this simply has gone beyond the normal weekend plan. 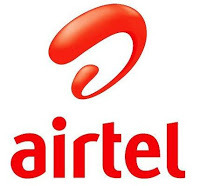 Airtel weekend plan can be accumulated the way you want to be use when the time is ripe. This is how I got my own 7GB every weekend. So I subbed from Sunday till Saturday, and then use the plan for weekend without thinking of anything data exhaustion. If you are not eligible, its advisable you get a new Airtel SIM. Note, this is just one out of the 3.